For facilitation of mounting and installation of Tower-H, Tower-V, Tower-H EC, Tower-V EC, Tower-A, Tower-AL roof fans on the flat roof. Prevents water ingress inside a ventilation shaft or air duct. Fixing on the roof with flanges in the bottom with subsequent extra insulation. The fan is attached to the roof frame with bolts. Mounting frames in standard (MRDL model) or sound-insulated modifications (MRIDL model). The casing is made of galvanized steel. MRIDL models are equipped with 20 mm heat- and sound-insulated mineral wool layer. 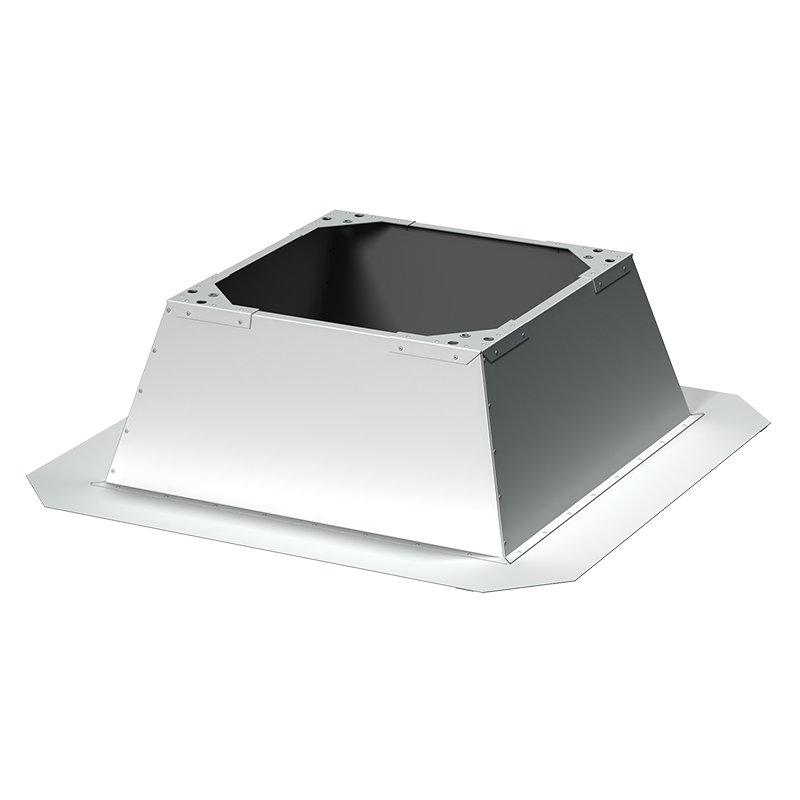 Specially designed flanges on the frame bottom enable easy and reliable mounting on the roof.The casing has threaded openings for fastening of the fan with bolts. Size 630 – 1100 is equipped with a detachable bolted panel for mounting facilitation.